Early in November, I set out to the U.S. Capitol to recreate a shot that has been a popular print for me: a panorama of the U.S. Capitol with peak fall foliage under gray, rainy skies. 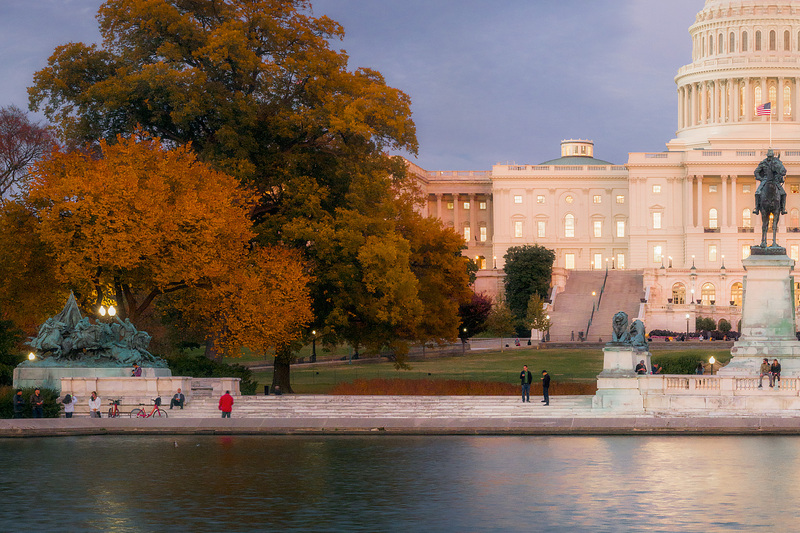 I really love the contrast of grays and fall foliage and can appreciate why this shot has been popular. However, I wanted to improve the shot’s composition and detail (it and was shot with one exposure at 21mp cropped in half (essentially 10 megapixels)). Though this can work for a large print even up to 100 inches or more, I wanted to give myself another go at this shot and see what I could come up with. 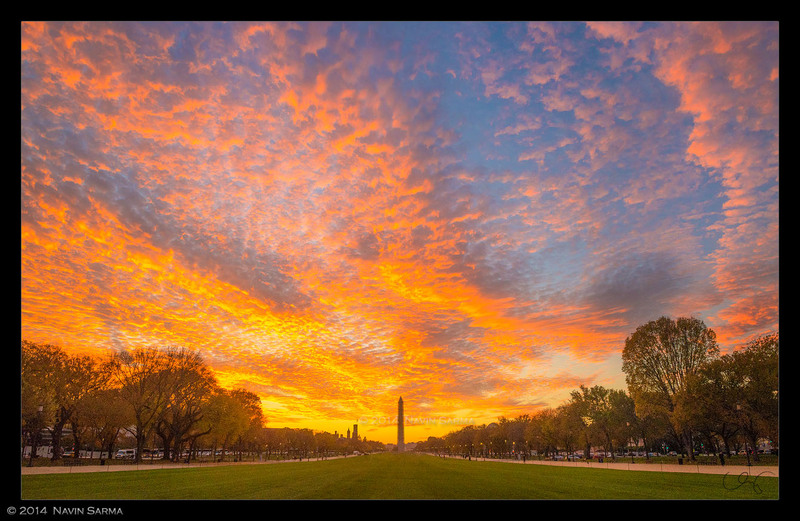 As I arrived on location, I realized there was a great opportunity for some colorful skies that night. There were high cirrocumulus clouds just hanging over the eastern horizon. I kept this in mind as I continued planning my shot. As the sun began to set, the colors of the sky took off. 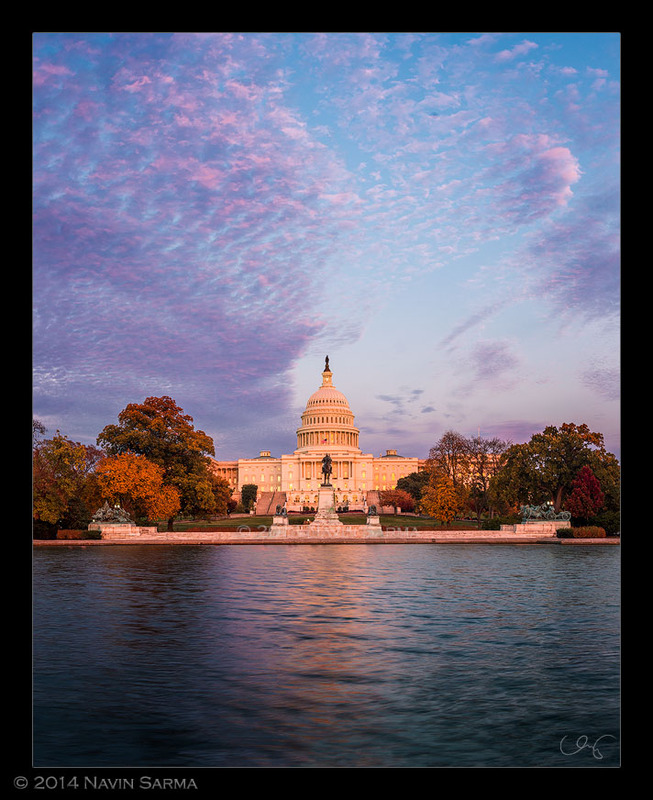 I was able to capture 3 very distinct images of the Capitol as the light changed, and a couple of the Washington Monument that showcased the drama in the sky. 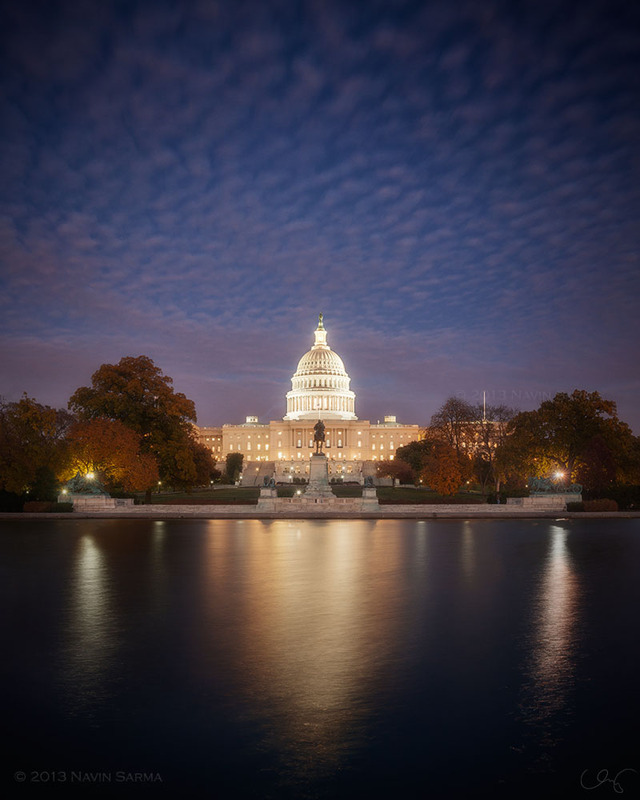 In order to capture everything, I had to work very fast to keep up with the light, at times running across the mall to capture a shot of the Monument and back to my tripod for the Capitol. It turned out to be one of the most productive evenings I have had developing imagery for my portfolio. 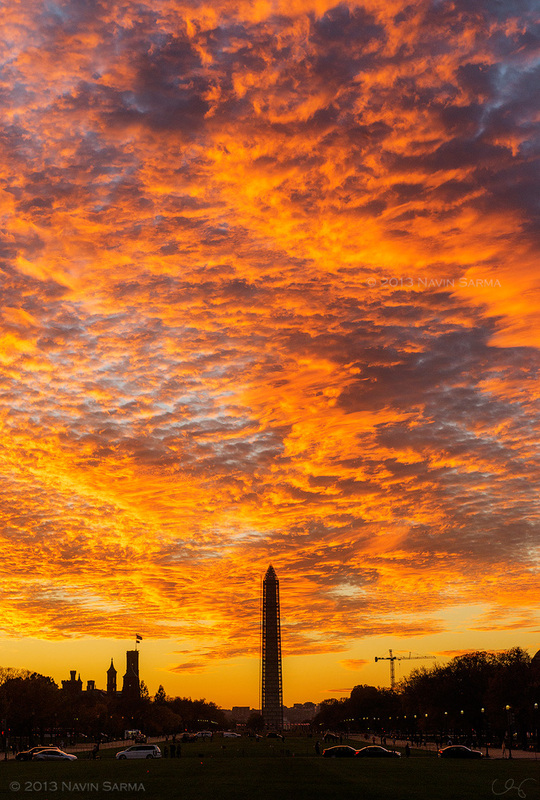 A gorgeous orange consumes the western exposed sky towards the Washington Monument. Pretty powerful, if you ask me. Hope you enjoyed a glimpse of one very productive evening in Washington, D.C.! I know it’s been a while since this was posted, but I just came across it. Very well done. I share your philosophy on cloning out distractions.